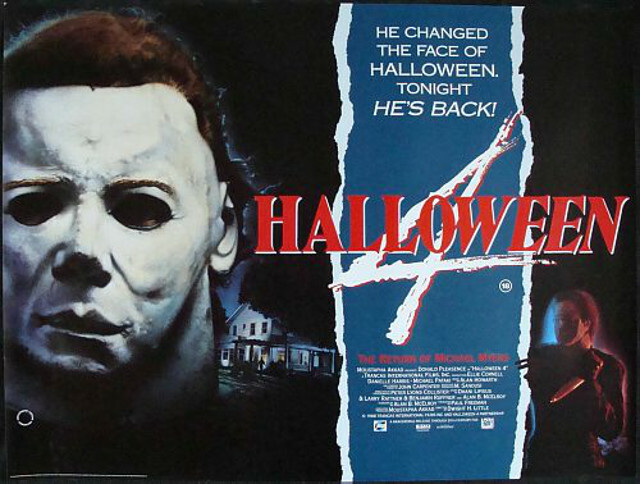 In keeping with the popular social media trend of “Throwback Thursday” (#TBT), we will from time to time take a moment to focus on the classic trailers, posters, and promotional items from some of our favorite Halloween-themed movies, TV shows, and more, continuing today with a flashback viewing of the original theatrical trailer for the sequel that brought The Shape back to the big screen, Halloween 4: The Return of Michael Myers (1988). With this film literally marking the return of the Myers character seven years after Halloween II, and following the notably Myers-less Halloween III in back in 1982, this totally killer trailer takes its time reminding you exactly who Michael is and confirming that he is absolutely back to his old tricks in what would become one of the most successful sequels of the entire series..
Halloween 4 introduced the world to future scream queen horror icon Danielle Harris as Michael’s adorable niece Jamie Lloyd, and it is one of the most beloved entries in the Halloween movie franchise. What do you think of the film? 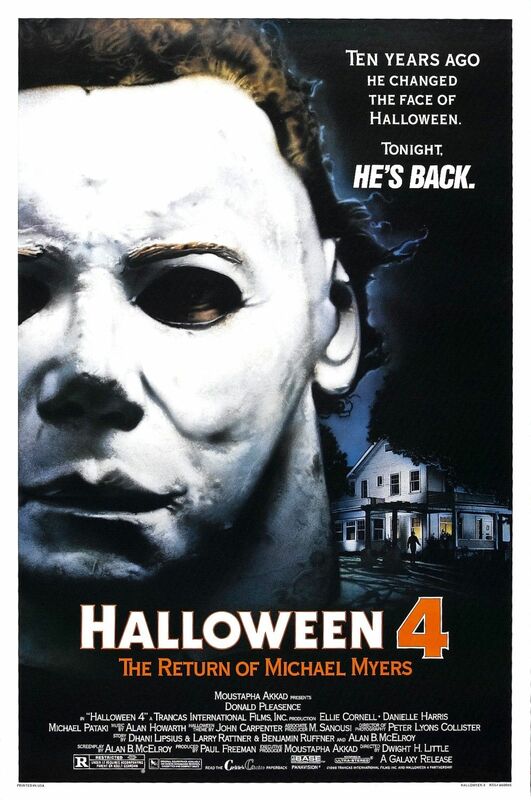 Watch the original theatrical trailer for Halloween 4: The Return of Michael Myers in the player below, and then give us your thoughts in the comments!